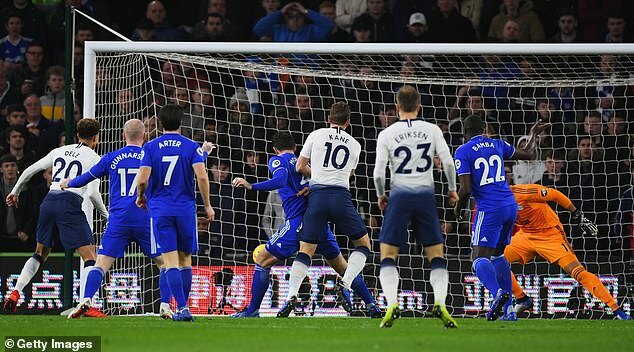 Tottenham put Cardiff to the sword on to bounce back from last week's shock defeat against Wolves. 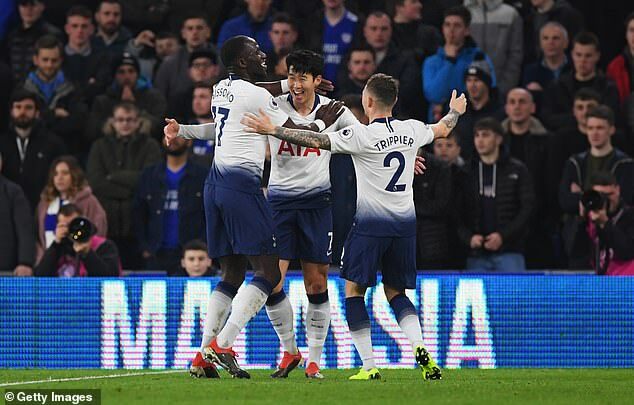 First-half goals from Harry Kane, Son Heung-Min and Christian Eriksen done the job and sealed the three points for Mauricio Pochettino's men. 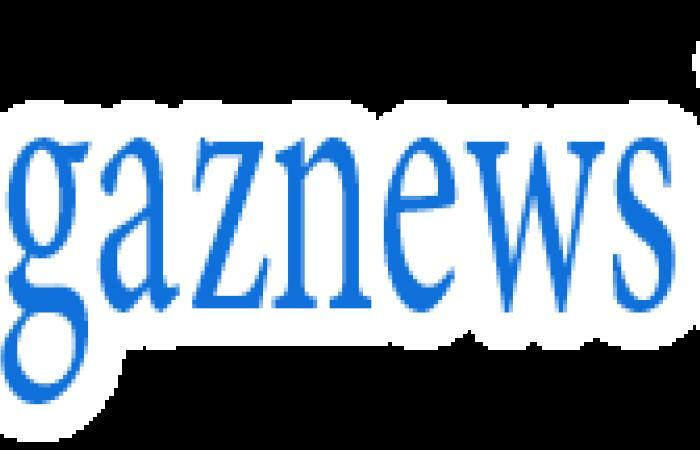 Here, Sportsmail run you through all the things you might have missed from Tuesday night's action at the Cardiff City Stadium. 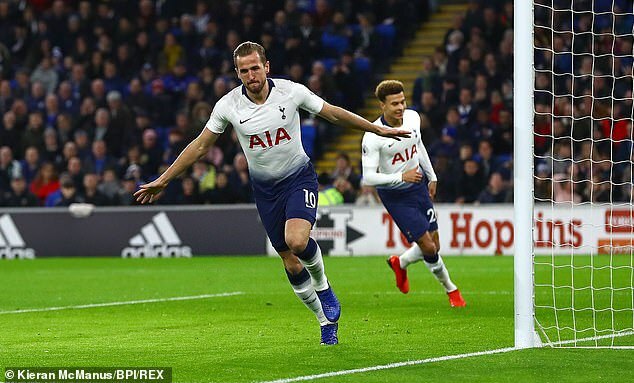 Harry Kane completed a remarkable record on Tuesday when he opened the scoring against Cardiff in a rather fortuitous manner. He wouldn't have imagined it being like this, but when the Tottenham striker bundled the ball in off his knee from close range in the opening minutes, it meant he had now netted against all the 28 teams he has faced in the Premier League - It was also his 42nd goal in his 45th away game. And they all said he was just a one-season wonder, how's that for consistency. There was a sweet moment in the tunnel before the match between a Cardiff mascot and Sean Morrison.